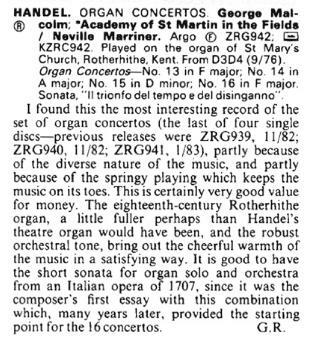 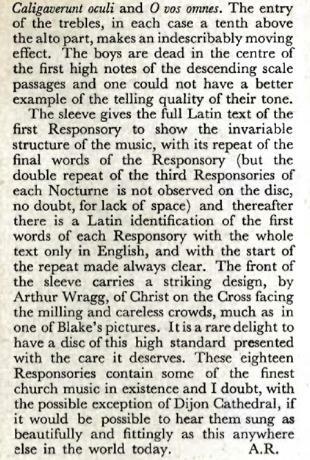 Though an occasional piece written to mark the 500th anniversary of the University of Basle and setting words from the University's Charter as well as from songs in praise of the City of Basle, Britten's Cantata Academica Op.62 of 1959 is a delightful, un-academic romp (it even includes a Tema seriale con Fuga). 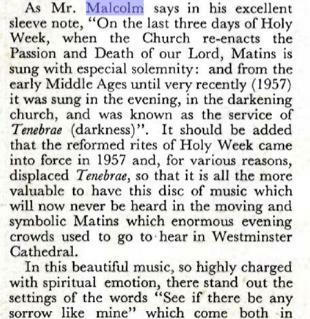 Britten in his most unbridled outdoor mood, gently parodying classical forms such as recitative, fugue and the like. 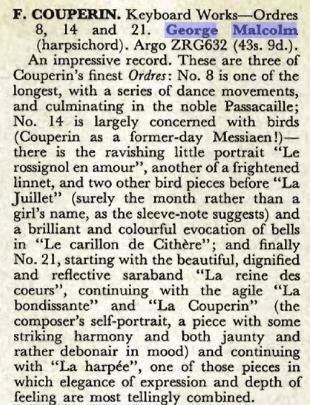 Curiously this colourful, umproblematic piece has only been recorded once: originally as L'OISEAU-LYRE OSL 50206, later re-issued with Cantata Misericordium Op.69 and (I think) A Boy Was Born, and finally in CD format as DECCA 425153-2LM. 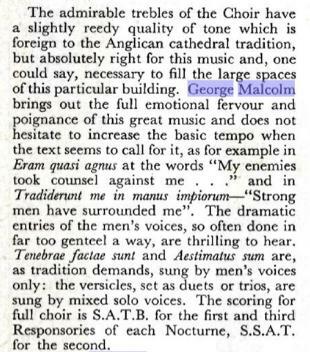 The present performers have all had long association with Britten's music and George Malcolm conducts an affectionate, zestful reading of this unjustly neglected piece. 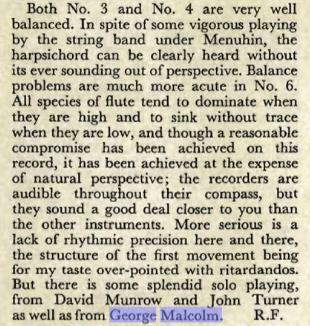 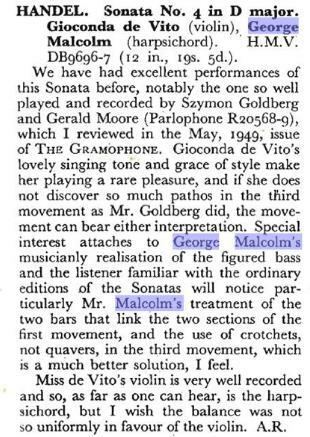 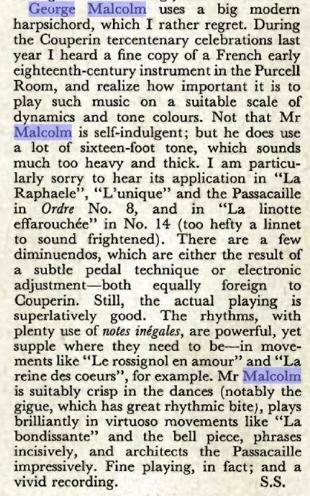 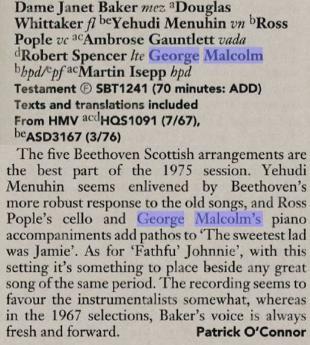 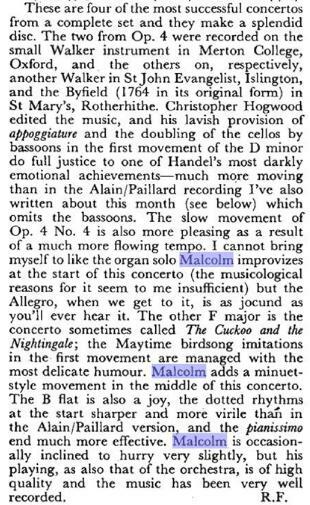 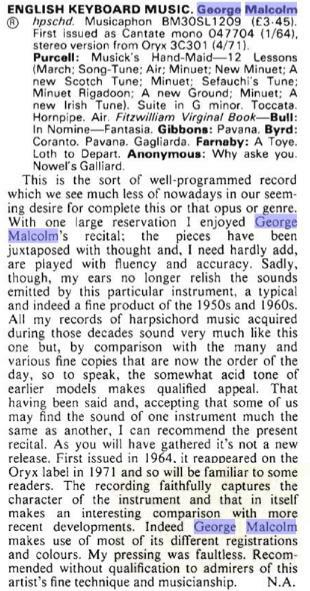 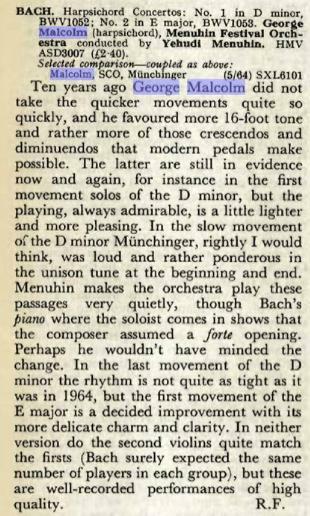 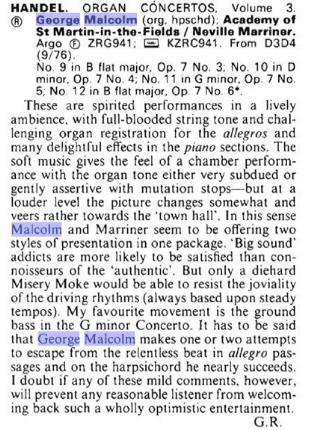 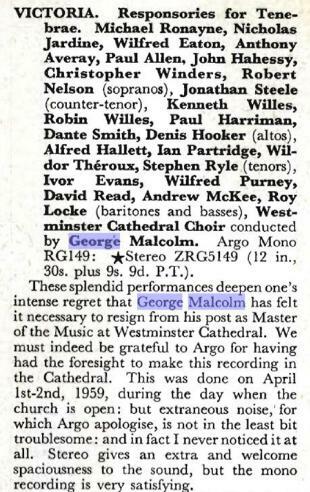 George Malcolm’s harpsichord performances of the Fantasia in d and the great In Nomine (John Bull) are among the great recorded keyboard performances of the twentieth century.